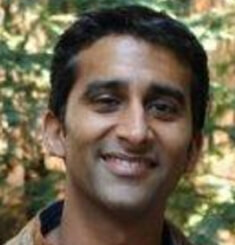 Apurva Dave, VP Marketing, Sysdig" text="Apurva is the VP of marketing at Sysdig. He’s been helping people analyze and accelerate infrastructure for the better part of two decades. He previously worked at Riverbed on both WAN acceleration and Network Analysis products, and at Inktomi on infrastructure products. He has a computer science degree from Brown University and an MBA from UC Berkeley.